France Telemarketing Pack: includes a workstation, supervisor, tele-sales agent, and an unlimited call plan for your telephone prospecting campaign in France. With this France telemarketing package, we put at your disposal all the tools and manpower needed to carry out a telephone prospecting campaign in France. The dedicated tele-sales agent will work for your company from our callcenter or from his home (in France or abroad) under your instructions. By subscribing to this service, you also benefit from a supervisor, who will be responsible for accompanying your tele-sales agent to ensure that the requested tasks are performed correctly. With this service, you can have 1 or more agents working on your campaign in less than 72 hours, without any work contract or social security fee. Package for phone prospecting campaigns in France. Tele-sales agent for your telemarketing campaigns in France. Unlimited call plan to fixed and mobile in France. 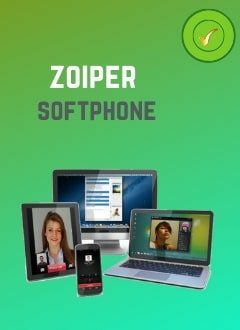 Softphone to make and receive calls. Recording of calls made and received for your follow-up. Phone number from France to receive calls. Web interface to manage and track the work of your tele-sales agent. A supervisor to make sure the tasks are done according to your instructions. Daily report of tasks performed by your tele-sales agent. No contract binds you to the tele-sales agent. Generates customers and increases your sales. 1- The subscription to the France Telemarketing package by the customer supposes the acceptance and the irrevocable adhesion of the present special conditions at the moment when he makes an order of this service on this web site. 2- The customer subscribes to the service, to carry out campaigns of telephone prospection or other, in order to promote his company, his products or services. HIVOOX will provide the customer with technical and human resources so that the tasks desired by the customer is carried out by the tele-sales agent. 3- HIVOOX, will be responsible for the quality of phone calls and call recording. HIVOOX will put the necessary tools in order to allow the customer to check the hours worked by his tele-sales agent including the recording of telephone calls. 4- HIVOOX is responsible for the presence of the tele-sales agent in the workplace during the hours agreed with the customer. The customer is solely responsible for determining whether the services subscribed meet his needs. 5- The services are provided from an HIVOOX call center or from the tele-sales agent's home according to the time slot chosen by the client during the subscription. 6- The customer can contact his tele-sales agent directly via the telephone extension of this one, to give him instructions or correct errors. 7- The customer recognizes that the training of the tele-sales agent on its services or products is an exclusive task of the customer. However, the customer may request the help of a Hivoox specialist in case he has difficulty doing so. The tele-sales agent will work exclusively under the instructions of the customer and with the assistance of a supervisor. The customer undertakes to follow up on the calls made and to inform HIVOOX of any failure found in these calls. 8- After each working day, the tele-sales agent sends a report to the customer. In the case where the customer has a CRM, he must provide access to the tele-sales agent. 9- HIVOOX and the customer recognize that the recording of calls including the called numbers, the date, the time as well as the content of the conversations, and available on the web interface provided by HIVOOX to the customer constitutes proof of the work done by the tele-sales agent. 10- The customer can request a refund if the subscribed service has not activated within 7 days after the payment or if he is not satisfied with the work of the tele-sales agent. If the customer is dissatisfied with the tele-sales agent’s work, he can stop de campaign and only pay the days worked by the tele-sales agent and the rest of the amount will be refunded. 11- In case of unavailability of a tele-sales agent for any reason, HIVOOX has the obligation to change the tele-sales agent within 48 hours. In the case of the change of a teleoperator, the new tele-sales agent will be trained based on the recorded communications of the previous tele-sales agent, to continue the work. In this case, HIVOOX will offer 3 additional days to the customer. 12- This service does not guarantee the customer sales, appointments or other result desired by the customer. It offers customers the necessary tools and an experienced tele-sales agent to run their campaigns and generate the expected results. Hivoox cannot be held responsible for a possible failure of the campaign. The customer can request a tele-sales agent change or stop the campaign if he is not satisfied with the work of his tele-sales agent. 13- The service has a duration of 30 days and is renewed automatically every 30 days. To terminate the service, it will be enough to send us your request for cancellation, by responding to the order confirmation email. The customer must make his request for cancellation at least 5 days before the end of his contract and not have an unpaid invoice.